It is said that - "Girls just wanna have fun". 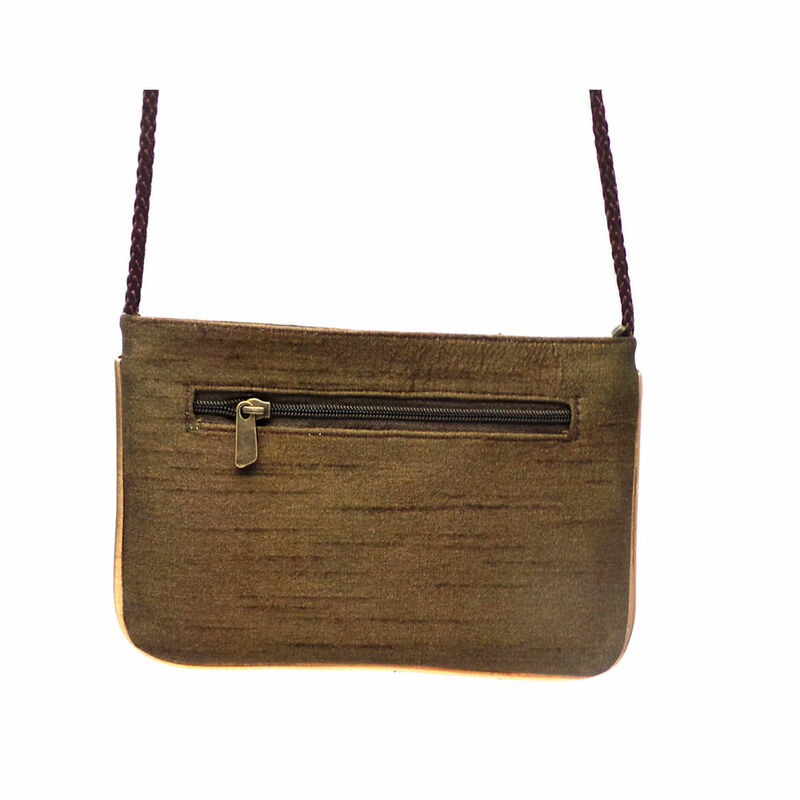 So, here's a fun mobile pouch with sling for GIRLS of all ages !!! 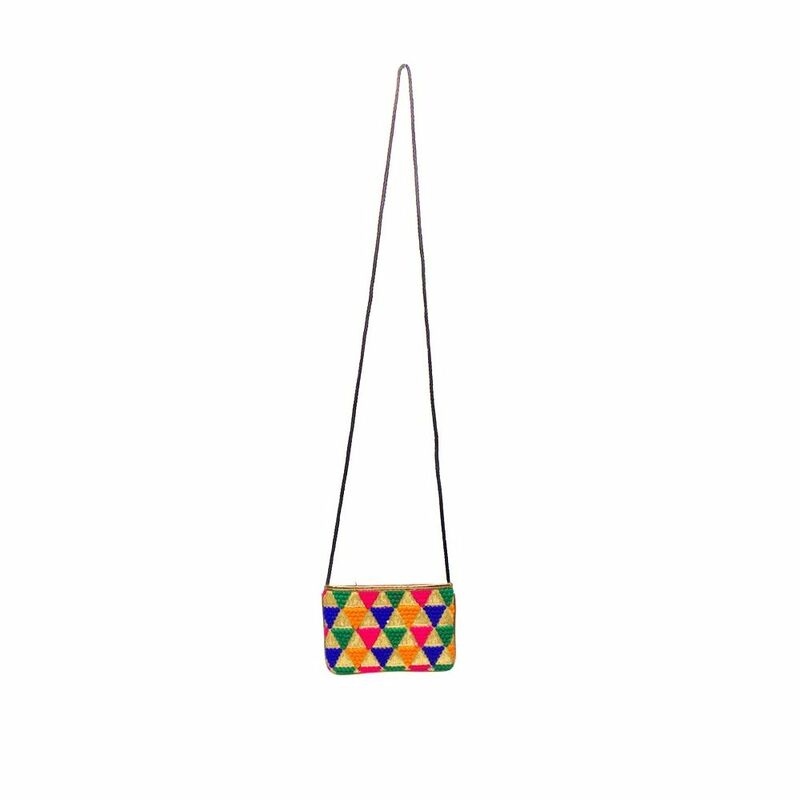 The design is ideally meant to carry Universal 6 inch mobile phones and has a back pocket to carry cash. It is made from raw silk. 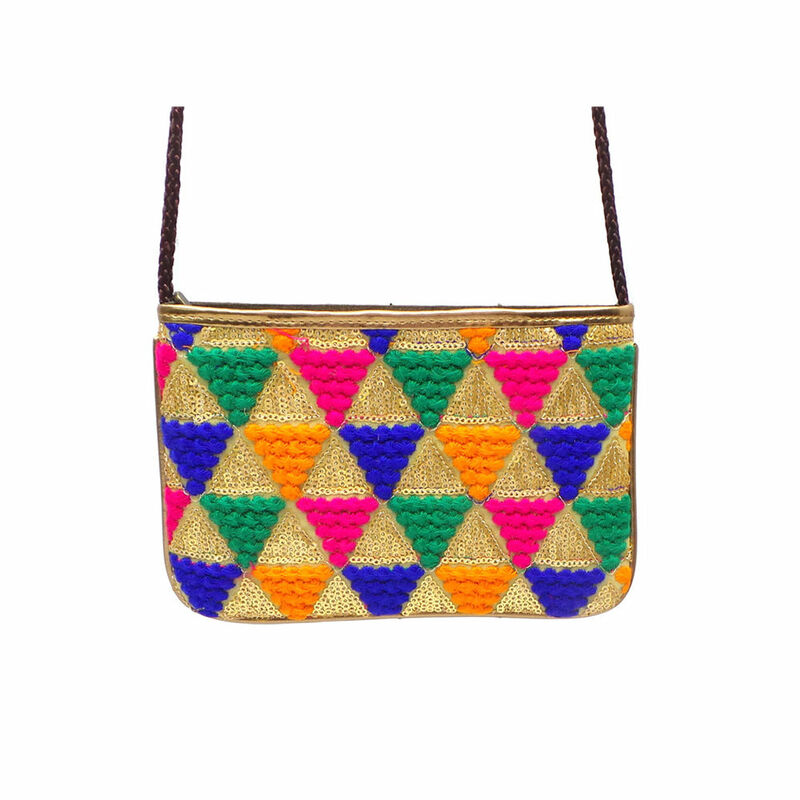 The face of the pouch has bright wollen thread work in geometric pattern. 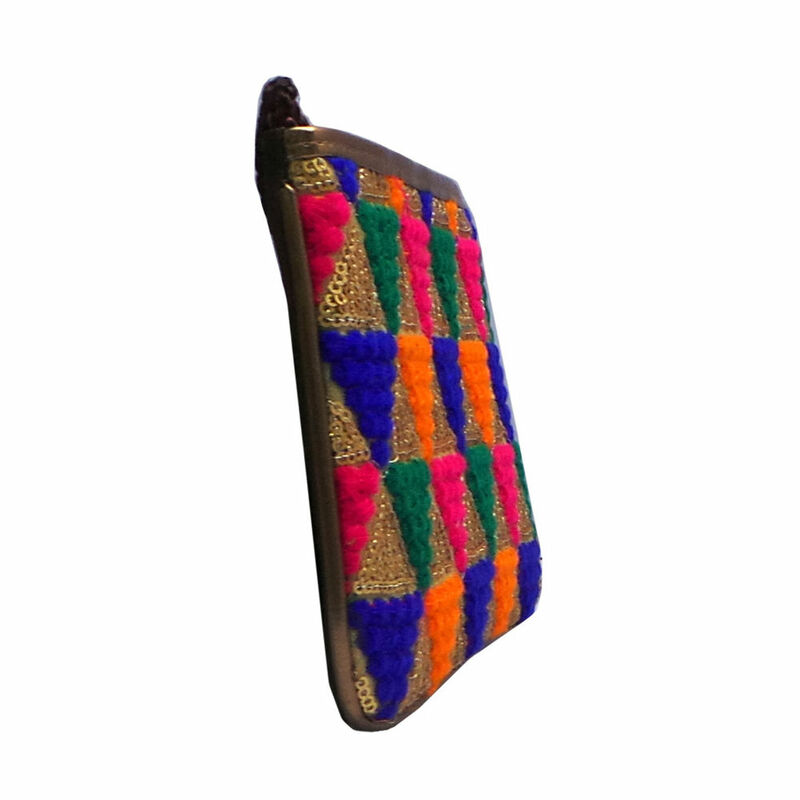 The design comes with a plaited long string in the same colour as the raw silk, which adds to the joy quotient of the design.